Way of Will Cedarwood Essential Oil - Wildland Supply Co.
Cedarwood essential oil is a native to Morocco. It is the only type of its kind sourced from its primary habitat, the Atlas Mountains, that is recognized for its therapeutic use. It has a woody top note and a smoky, balsamic undertone. 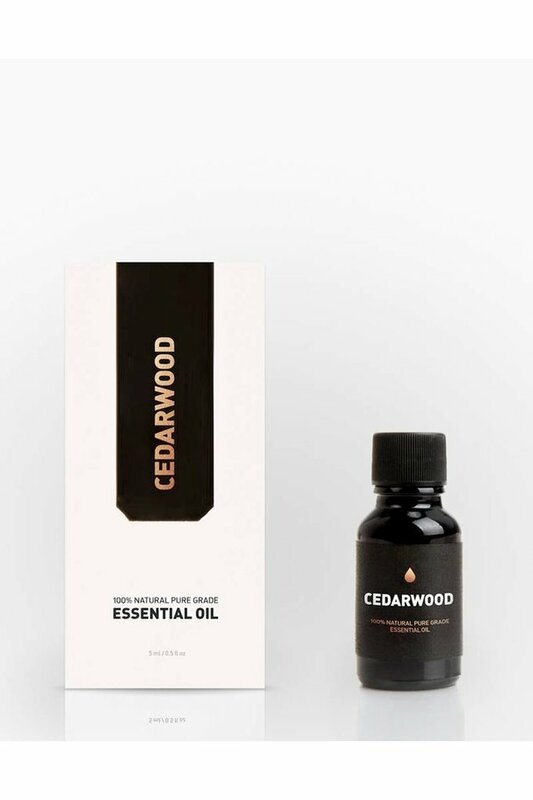 Cedarwood essential oil is strengthening and used to improve symptoms of oily skin, acne and cough. It also provides strength and stability, making it effective in relieving stress-related conditions. Quick use: After a hectic day, dilute 3-5 drops of essential oil in 10 ml of carrier oil and rub between hands. Once warmed, bring hands close to your face and take in the aroma to relieve your stress and ground your emotions. Experience through diffusion: Dispense 0.25ml of essential oil into your favorite diffuser for an ambient experience. Experience through application: Dilute 3-5 drops of essential oil in 10ml of carrier oil for local application. Experience through placement: Drop 3-5 drops of Cedarwood essential oil on a cotton ball and place in your closet for a woody, foresty smell. 100% natural pure grade cedarwood essential oil.